The BR.Pads are pre loaded for better efficiency and have nominally 1 mm of additional compression available to allow for settling of the equipment. 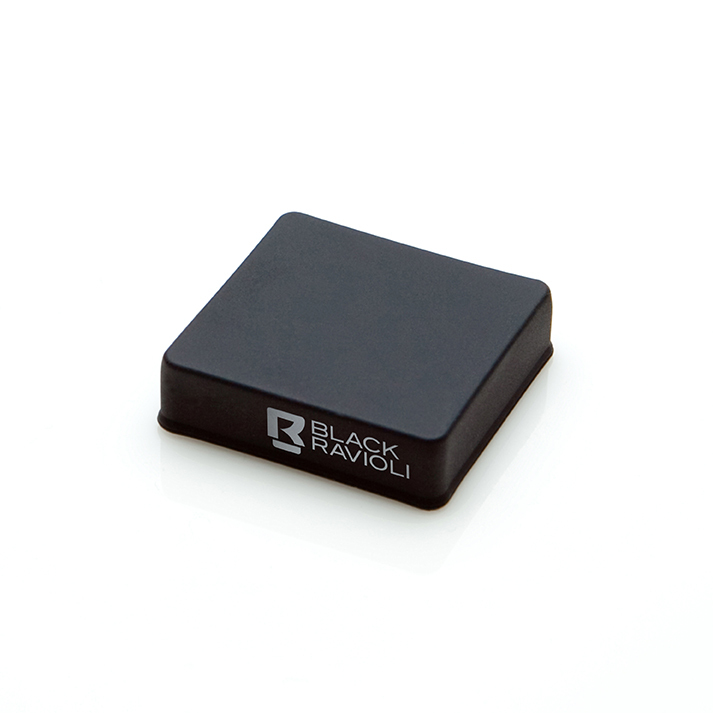 The BR.Pad is the starting point in the Black Ravioli range, designed to fit directly on to the base of equipment and accessories such as power supply boxes. They can also be used on the base of speaker stands and small column speakers when placed on a solid base. They can be used in this way under laptop computers that are being use as music servers. The BR.Pad is now at Generation 3 where integration with both the equipment and the support surface has been improved.